Are you an awesome stylist? We are hiring! 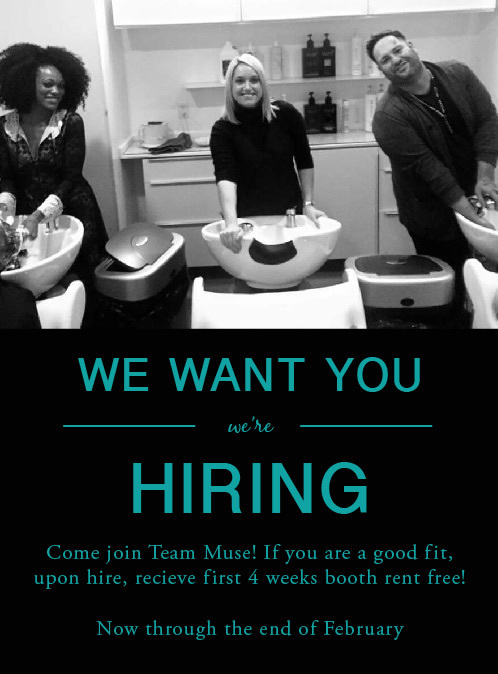 Experienced Hair Stylist – Salon Muse hair salon located in beautiful Winter Park. Friendly atmosphere, walk-ins welcomed. Full or part-time available. Call (407) 539–0084 or contact us online!